Adamson coach Airess Padda. Richard Esguerra, ABS-CBN Sports. 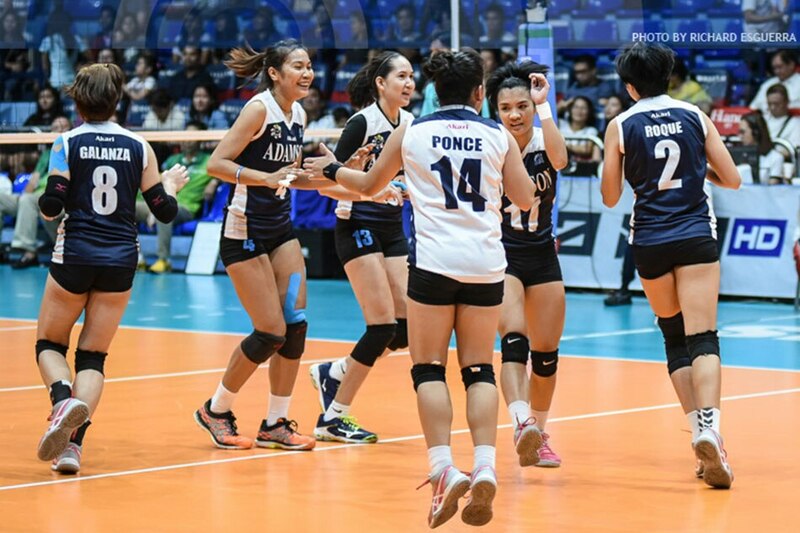 MANILA, Philippines – Adamson University's chances of advancing to the Final 4 of the UAAP Season 80 women's volleyball tournament evaporated on Wednesday, when the Lady Falcons lost to defending champion De La Salle University in four sets. It was a deeply painful loss for the Lady Falcons, and partly because they had reason to hope. 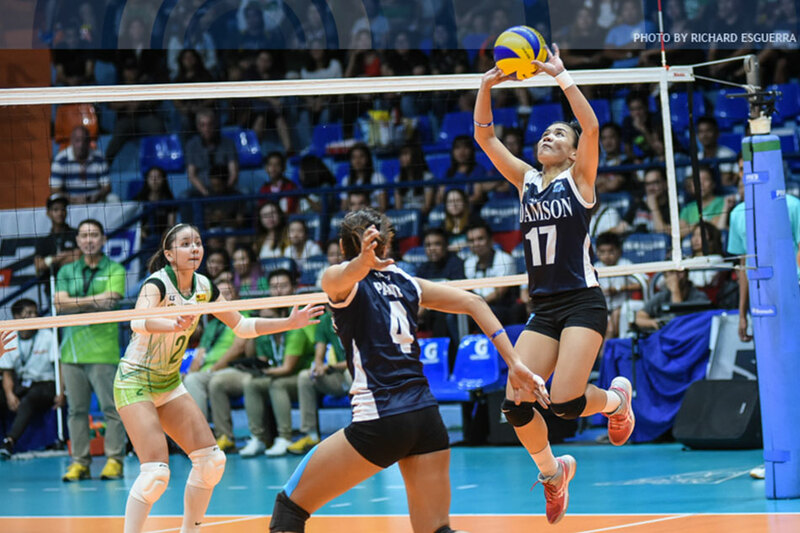 Adamson defeated La Salle, 25-18, 15-252, 25-19, 25-22, when they met in the first round in February, and despite all its struggles in the second round, the team was hopeful it can do it again. Instead, the Lady Falcons found themselves on the receiving end of a serving clinic from La Salle, as the Lady Spikers torched them with 18 service aces in the game. Their net defense, which clicked so well in their first round meeting, was completely absent: Adamson had one kill block all game long. The Lady Spikers claimed a 25-21, 25-15, 22-25, 25-18 win – securing a twice-to-beat bonus in the Final 4 and smashing the Lady Falcons' hopes. Technically, Adamson's season is not yet over. The Lady Falcons still have one game left on Saturday, when they play University of Santo Tomas at the Blue Eagle Gym in Katipunan. Yet as early as now, coach Airess Padda is already taking responsibility for what can only be described as a bitterly disappointing season for the Lady Falcons. "I apologized to everyone," a teary-eyed Padda told reporters, more than an hour after Adamson's match against La Salle ended. "Ultimately, it was my fault." "I'm the leader of the pack, and I failed everybody," she said. "That's something that I'm gonna have to learn from this season – where I went wrong as a coach to make sure it doesn't happen again." The Adamson Lady Falcons lost all hope of going to the Final 4 when they lost to La Salle. Richard Esguerra, ABS-CBN Sports. There was every reason to think that this was the year that Adamson will end a Final 4 drought that began in UAAP Season 77. The Lady Falcons had a talented roster anchored on graduating open spiker Jema Galanza, and veterans Fenela Emnas and Mylene Paat who returned for their final year. Much was expected from Fil-Italian transferee Chiara Permentilla, as well as former La Salle player Eli Soyud. The season started on an uneven note, and they lost three of their first five matches. But their stunning upset of La Salle in their sixth game put the rest of the UAAP on notice. The Lady Falcons, it seemed, were for real. That illusion was shattered in their next game, when the Lady Falcons lost to University of the East in a five-set marathon. They followed that up with yet another five-set loss, this time to University of the Philippines. Those back-to-back defeats were a massive blow to their Final 4 hopes, and perhaps more crucially, exposed holes in their squad that other teams would exploit. Second round victories over UE and National University briefly lifted the fog that had so clearly descended upon the squad. But back-to-back five-set defeats to Ateneo and Far Eastern University in the second round all but killed their chances – with La Salle finishing the job on Wednesday. After the loss to La Salle, it was obvious that the pain of those excruciating five-set losses – Adamson lost five five-set matches in Season 80 – and all the chances that they squandered weighed heavily on Padda, who had been so determined to lead the Lady Falcons to glory this year. "It was basically about how many opportunities we had this season to make our team successful, to make our school proud, to make our management proud, and to get into the Final 4," Padda said. "We just felt that every opportunity we had, we just didn't grab it," she sighed. "They just threw it away." In hindsight, Adamson's triumph over La Salle was the highlight of its campaign. It was the team's peak, instead of being just a jump-off point to reach even greater heights in Season 80. The Lady Falcons were unable to display once more the same grit and fighting spirit they showed against La Salle; even their five-set win over UE in the second round was an unconvincing affair. In their losses to Ateneo and FEU, the Lady Falcons squandered 2-1 set leads and sputtered in the end game, unable to overcome veteran squads whose players were more poised under pressure. Padda acknowledged that this was a problem she foresaw heading into the season, simply because of how young her team was. It was true that they had veterans in Galanza, Paat and Emnas, but as a whole, the team had little experience – especially when it came to winning those difficult, grind-out games that they found themselves in repeatedly. "We knew that this was going to be hard," Padda explained. "It didn't matter who we added to the team – we were still going to be the least experienced team other than UE." "And we're coming from a program where a winning culture wasn't really established in the last five years," she added. "The team was used to losing." "The only people who had winning experience was Eli, who came from La Salle. The other girls had winning experience from their pro teams, but when you're playing for your school, it's something different." 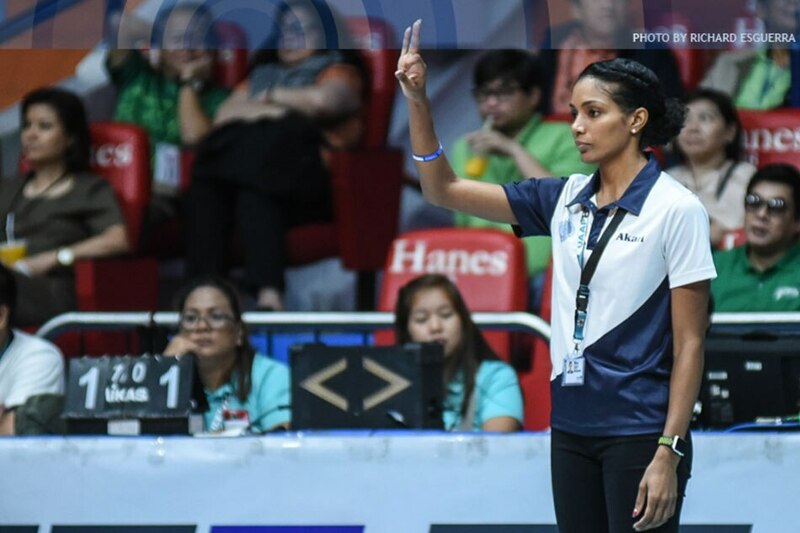 While Padda said that ultimately the team's failure to make the Final 4 was her fault, she also noted that there was a certain "imbalance" to Adamson in Season 80. "There was a huge imbalance this year, with players who were really wanting to go for it and completely sold in this program. And there was a part of our team who weren't on the same page," the American coach said cryptically. "That was why we ended up in this situation." The Lady Falcons conclude their season against UST on Saturday. 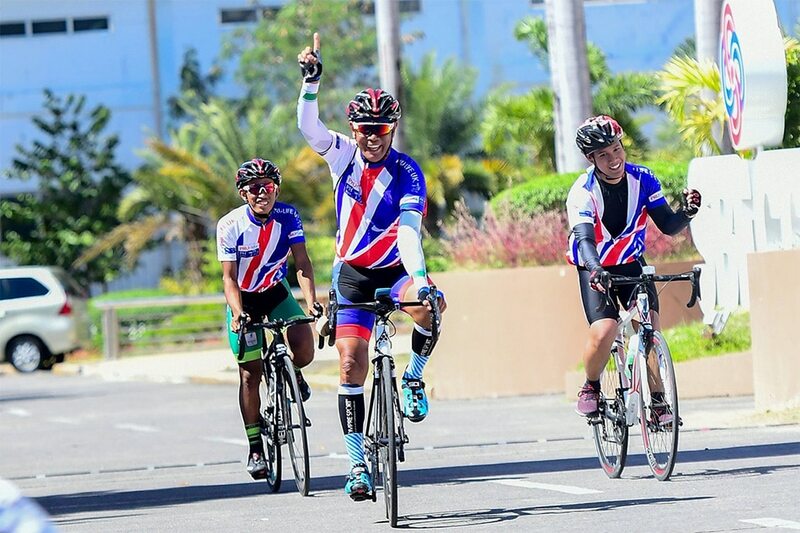 Richard Esguerra, ABS-CBN Sports. There is still one game left to play, and Padda obviously wants her team to win it. But she also knows it will not be easy, and not just because she fully expects Sisi Rondina and the UST Golden Tigresses to put up a tremendous effort on Saturday. It's also because at this point in the season, she knows her team very well. "It's about how they want to end the season," she said. "All season, it's been like . . . one door closes, and another one opens. But a lot of us were still looking back at the closed door. When we finally look ahead, the door that was in front of us was finally closed." "I told them that if they want to finish the season like that, it's a choice they have to make," she added. "If they want to move forward, here's another opportunity sitting in your face, to actually move forward and not end the season like this." Whatever the result of Saturday's game, what is for sure is that for the fourth season in a row, Adamson will not make the Final 4. At best, the Lady Falcons can finish in fifth place – a massive letdown for a team that had tremendous promise and potential when the season started.